Vector Packet Processing (VPP) can be an effective foundation for the development of new Virtual Network Functions (VNFs). Performance, however, can be severely limited without application awareness. By complementing VPP with ready-to-use DPI software, developers get a complete application-aware, high performance solution that is in line with open source networking architecture. As telcos transition to next generation solutions based on SDN and NFV, OPNFV has emerged as a standard architecture. This requires networking vendors, who supply the telcos with VNFs, to find efficient OPNFV-based frameworks on which they can develop new, carrier-grade, high-performance solutions. 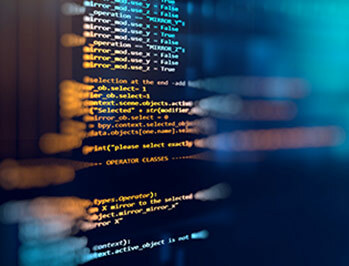 Until now, the only technologies widely available were low level solutions such as linux, Iptables, OVS, or Intel DPDK and development on these technologies was complex and costly. In addition, for solutions requiring DPI to provide traffic awareness capabilities, the cost and complexity of the projects was even higher. VPP is a new disruptive technology with the potential to lower both cost and risk for teams developing a new generation of virtualized networking applications such as firewalling and performance monitoring. VPP has a track record of high performance, flexibility, and a rich feature set. However, without the application awareness provided by DPI, its performance is severely limited. In order to provide a fully effective foundation for the development of VNFs, VPP needs to be complemented with DPI software, linked to shared flow tables, and fully integrated and monitored through OPNFV using standard management tools such as OpenStack for orchestration and OpenDaylight (ODL) as a controller. The integration of Qosmos market-leading DPI technology in VPP provides developers with a complete solution that is application-aware and in line with open source networking architect. 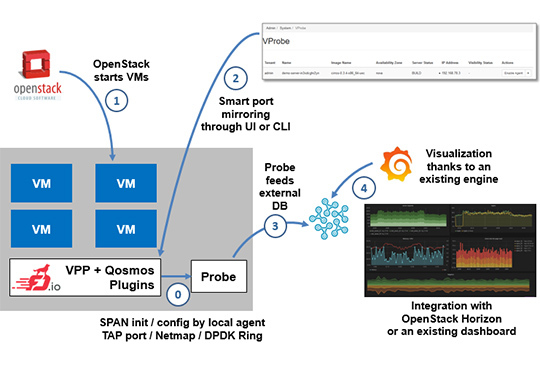 Thanks to Qosmos services combining VPP with DPI software, developers can work in a DevOps mode to accelerate time to market for new, high-performance and application-aware VNFs.